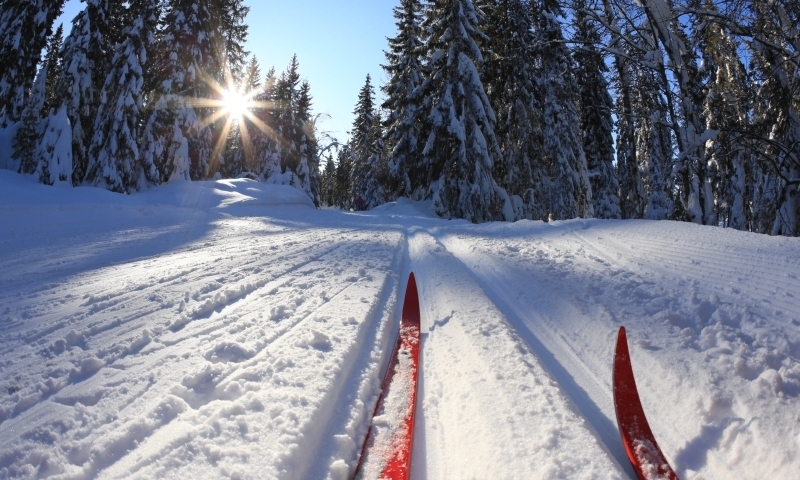 Crosscut Mountain, formerly known as Bohart Ranch Cross-Country Ski Center, is a day-use ski center with scenic trails looping through natural terrain especially suited to cross-country skiing for all levels of skiing ability. Only 16 miles from Bozeman is 30 km (18.5 miles) of groomed and tracked Nordic skiing area – Crosscut Mountain. Trails are open for use in the summer - available for walking, running, mountain biking, horseback riding. You can purchase daily tickets or season passes. Just 16 miles from Bozeman in Bridger Canyon, Crosscut Mountain offers a special experience and feeling of old Montana for the cross-country skier. Trails are groomed and tracked for both diagonal and skating techniques - skiers can participate at any level of intensity from easy touring or physical fitness through training and competition. Crosscut Mountain encourages winter fun with a Saturday Morning fun Race Series. While skiing Bohart, Brackett Creek, or Logger's Loops, skiers find scenic solitude, often being treated to various wildlife sightings - from squirrels, rabbits and birds, to larger animals such as moose, elk and deer. Trails are open for use in the summer - available for walking, running, mountain biking, horseback riding, and Summer Biathlon, which combines running and shooting. There is also an 18-hole Frisbee golf course for regular and tournament play. Crosscut Mountain offers rental equipment and lessons for beginners to advanced, including skating technique. A special emphasis is service to the Bozeman Nordic community with programs for Montana State University and a number of area grade schools. Crosscut Mountain participates in the Eagle Mount Ski Program for physically and developmentally disabled persons, and hosts various events for the Bridger Ski Foundation Nordic Committee, such as the Jim Bridger Youth Ski League, citizens’ races, and USSA Races. The Biathlon Range is unique in the area, offering a facility for year-round training and competition.